Proper Targeting Techniques - how to attract only your ideal clients or customers who are most likely to respond to the offers on your webinars. Template-by-Template - You get the exact structure (step-by-step process) to follow every time you want to sell more on your webinar. Indoctrination Process - inserting goodwill and developing trust and rapport with your registrant before they ever set foot in your webinar room. 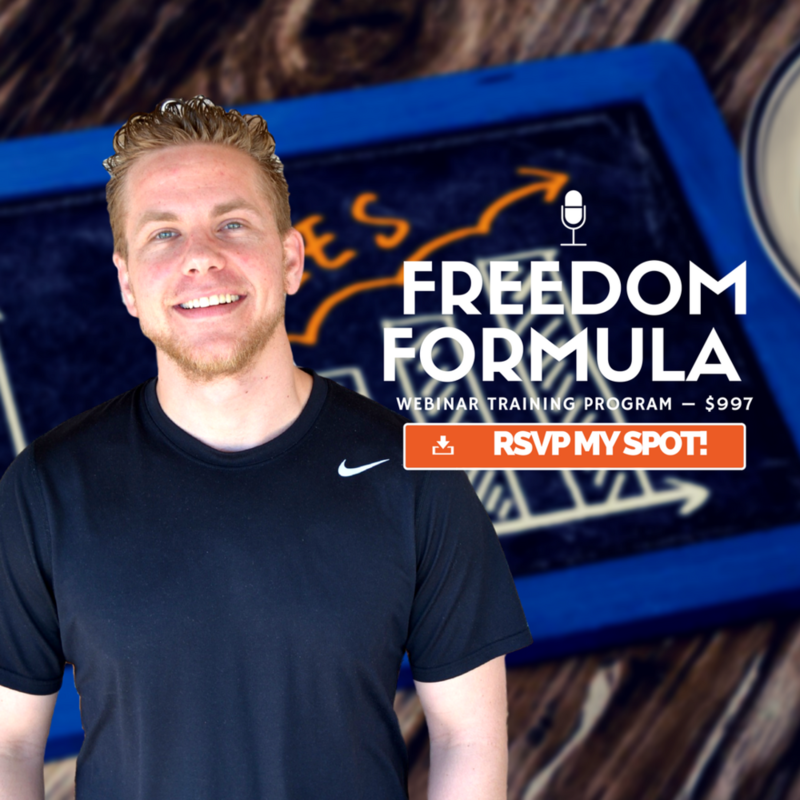 The Freedom Formula - what it takes to create a webinar that's centered around valuable, actionable content while still making a strong, solid sales offer...without it feeling out of place or overly pushy. You Get The Script, the examples, and we create the entire process together. From title to ad to email sequence. One Facebook / Google / Instagram Ad, One Webinar Registration Page, One Webinar Blueprint, One "Thank You"/Sales Page, Webinar Email Sequence (12 emails total), 2 Indoc Video Scripts, 2 Post Objection Videos Video Scripts. By the time we're done you'll have an entire webinar funnel created and the understanding of how to replicate it over and over again. A 60 min, deep dive screen sharing session to accelerate any current campaigns or to discuss ANYTHING business-related you would like. ANYTHING BUSINESS, SALES OR MARKETING - yours for the asking! 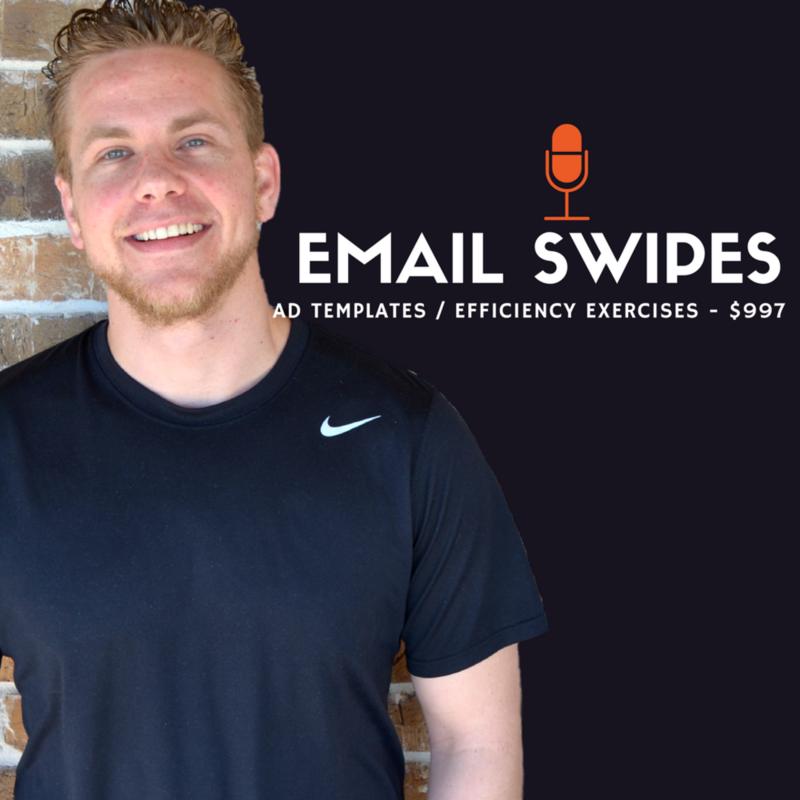 Over 30 email swipes altogether! Our ads convert $15,000 clients and are responsible for $20,000+ in monthly sales. These will help you save time and increase conversions...guaranteed!